It’s no secret that Palomar College has a campus smoking issue despite the ‘smoke-free campus’ placards placed throughout the college. 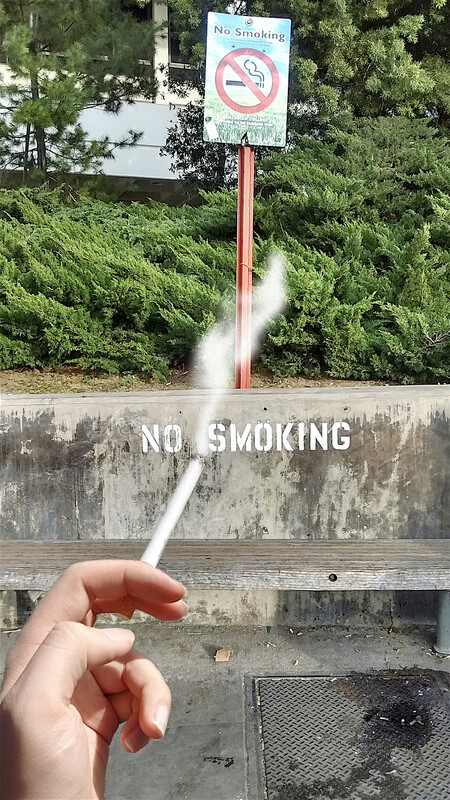 A new proposal seeks to increase the campus’s authority to further enforce the campus smoking policy, potentially levying fines against violators instead of verbal warnings. While some students say that Palomar should not include vaping in its policy — and others want to bring back designated smoking areas — officials say they stand behind the proposed expanded smoking ban and its fines. Palomar Community College District Procedure ‘AP 3570’ is looking at receiving some major changes that impact the college’s ability to invoke stronger monetary reprimands against students caught violating smoking policy. It also seeks to officially add vaping and e-cigarette usage to the policy, though enforcement of e-cigs has been in place since December 2015. ‘The first violation will result in a warning with no fine; the fine for a second violation shall be $50, $75 for a third violation, and $100 for fourth and subsequent violations.’ Language added to the document also formally adds the term ‘vaping’ to the policy. Fines issued would be distributed at a rate of 70 percent to the Campus Police for enforcement activities, with the additional 30 percent being transferred to the Health Services to provide material support for smoking cessation treatment options. Though the fines can be appealed, some students are less than thrilled about the proposals. The Telescope conducted interviews at the smoker’s pit, where staff also took notice of smokers wearing Palomar Campus Police polo shirts at the time of the interviews. “First of all its messed up, especially for vapers, because secondhand vape can’t even be affected (sic) … It’s a fraction of the percent you actually feel, people shouldn’t be pissed about vaping, it’s not a big deal,” said a student who declined to give his name but he said he only vaped on campus and only smoked cigarettes socially. Smoking, for some, seems more like a rights issue and a way to keep daily stresses and other personal issues at bay. A few students seemed unwilling to quit, but noted that Health Services being a benefactor to a fine proposal was insightful. Others admitted that they’d likely quit should the fines be issued and strongly enforced. There was also some emphasis on the difficulty in quitting, arguing that it’s incredibly difficult to quit, and that offering designated smoking areas might be a better measure than further enforcement and fines. Palomar officials continue their efforts to keep the campus smoke free. “I think it is a major step backwards if we returned to designated (smoking) areas,” Director of Student Services Sherry Titus said in an email. Michael Maines, a Palomar police sergeant, strongly emphasized that the current smoking policy does not levy citations, but that complaints are properly recorded and forwarded. Campus Officers do ask students to stop if they’re caught lighting up. Maines also commented that campus police only enforces the policy. Officer Stephen Wilson commented that he asks smokers to put out cigarettes or stop vaping “every day” after he was witnessed asking students to not use their e-cigs near the Library. In spite of what might seem like obvious tension, smokers on campus and campus authorities still generally have an amicable relationship. Smokers were apt to name some of the officers for their styles of enforcing the smoking policy — the nickname “Rambo” being given to an officer who likes to appear from the bushes near the Library. Currently, no decision has been finalized. 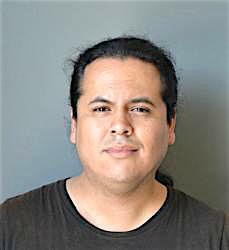 Rodney Figueroa is a returning staff writer for the Palomar Telescope. He’s previously written for now-defunct gaming website MMO Attack and talks a lot about issues pertaining to popular culture, video games and technology. Figueroa also serves as a teacher in real life, a professor of game design, his understanding and knowledge of how the industry works and some writing credits give him some amount of clarity into his articles. Well versed in social media and social affairs, he centers his writing around current events and opinion pieces at Palomar College. Before Palomar, Figueroa worked at a Visual Effects firm where he learned how to survive on coffee and determination, when not writing or working, he’s probably playing a videogame or indulging himself in fixing his car. Story used by agreement. For more, visit http://www2.palomar.edu/telescope/2015/12/10/competitive-gaming-has-all-the-elements-of-a-sport/. Be the first to comment on "Palomar smoking policy flirts with fines"